Partnerships between established big banks and fintech innovators will help the established financial sector achieve digital transformation faster, stakeholders heard at a Fintech Thought Leadership forum hosted by Absa, Enterprise Ireland and Business Ireland in Sandton this week. A panel comprising several Irish and South African fintechs and the SARB fintech unit noted that transformation in large, established banks and insurance firms could be slowed by legacy processes, stringent compliance, and lengthy change management and approvals. They said partnerships with innovative fintech companies could help fast-track their efforts to transform, particularly if new approaches were found to rolling out proof of concept projects and implementing new solutions, and if such projects were driven throughout by a single ‘champion’. Irish fintech companies are leaders in the world of digital innovation, and are already making good inroads in the South African and pan-African market, said Enterprise Ireland. Fred Klinkenberg, Country Manager – South Africa at Enterprise Ireland, said fintech was a key export out of Ireland, helping drive that country’s phenomenal economic turnaround in recent years. “Ireland has been the fastest-growing economy in Europe for the past three years, with 6 – 7% GDP growth in 2018,” he said. “Eight of the world’s top 10 global software companies call Ireland home, and it is also home to over 250 financial services companies,” said Penny Buthelezi, Market Advisor at Enterprise Ireland. Ireland, now an innovation leader and key English-speaking springboard into Europe, is actively seeking new business partnerships with southern African businesses across sectors such as fintech, medical devices, aviation, engineering and food, and agriculture. Buthelezi said Ireland’s fintech firms, in particular, were well established and actively expanding across South Africa and the rest of Africa, supporting the continent’s banks in their digital transformation and financial inclusion efforts. including an out-of-the-box mobile banking app, mobile and internet baking software and ATM software. Yoco, an inclusive credit card payments processing solution, extends lower cost card machines, payment management apps, and back end business management tools to SMEs. Ronald Makomba, Head of New Region Development at Yoco, said the company was in use by a fast-growing base of over 35,000 vendors and processed R4 billion in annualized card revenue. Fexco, an Irish-based company and leader in innovative fintech, payments and business solutions. Gavin O’Sullivan, Fexco Country Manager in South Africa, said Fexco’s advanced Dynamic Currency Conversion, bank transfer and retail solutions were in user around the world. In South Africa, a number of the leading banks and over 7,000 merchants use Fexco solutions, he said. Sysnet Global Solutions, a payment card, cyber and compliance security solutions specialist headquartered in Ireland. Gregory Kraft, regional head – MEA at Sysnet, said PCI DSS security and compliance and securing of payments infrastructure were key financial services focus areas across Africa. 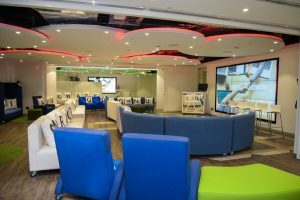 Digital Skills Global, formerly the Digital Skills Academy, is an international postgraduate digital skills training provider already well established in South Africa. 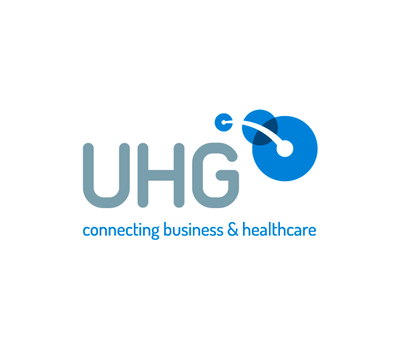 James Milne, Corporate Account Manager at Digital Skills Global in South Africa, noted that the institution not only provided advanced digital skills training, but also partnered with enterprises to implement specific digital projects. 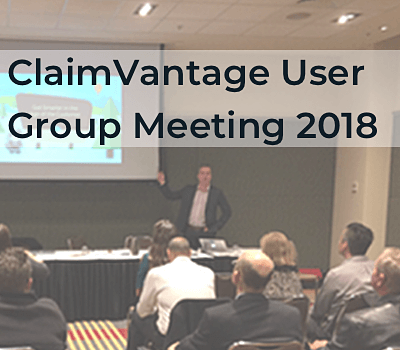 ClaimVantage, a leading Irish-headquartered international provider of life, disability and health claim management software solutions. 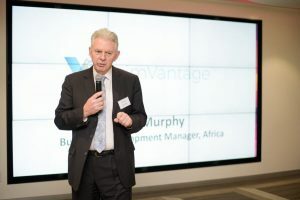 John Murphy, Business Development Manager at ClaimVantage South Africa, said partnerships were key to innovation in the fintech sector – as illustrated by ClaimVantage’s own partnership with Salesforce – the platform on which ClaimVantage is hosted. “In the insurance sector, traditional face-to-face and paper-based ways of doing things are being disrupted. Now speed and automation drive growth in the sector,” said Murphy. Jumo, a fintech startup supporting progressive and inclusive financial services, including small, short-term loans issued to customers via a simple feature phone. Kate Mullor, strategic partnerships director at Jumo, said the firm worked with ‘digital container partners’ such as mobile service providers, and partnered with banks, to enable pre-scored credit ratings that allowed for fast, easy loans for mobile users. Emphasizing the theme of partnerships, forum participants noted that open communication was necessary for fintech-big bank partnerships to succeed. As first published on IT Online.